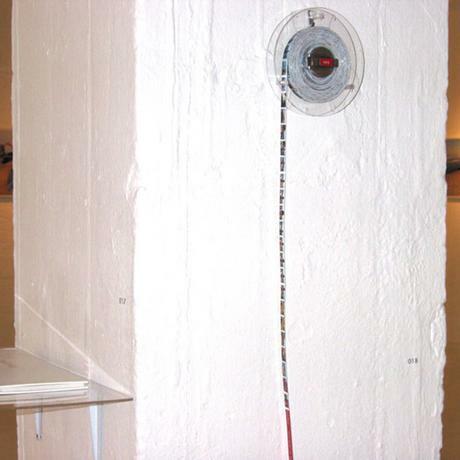 1075 inches of me & 1075 frames of me were made in response to my collaboration with Tracy Lindner Gander in Gander’s project Flounce (exhibited at Joao Ferreira Gallery, Cape Town in 2002). Gander photographed me in various spaces in the city and suburbs of Cape Town, from forgotten or transitory public pieces of land to grass slopes next to the highway to the contentious urban zones such as District 6 (racially mixed area that underwent forced removals in the 1960’s and 1970’s). 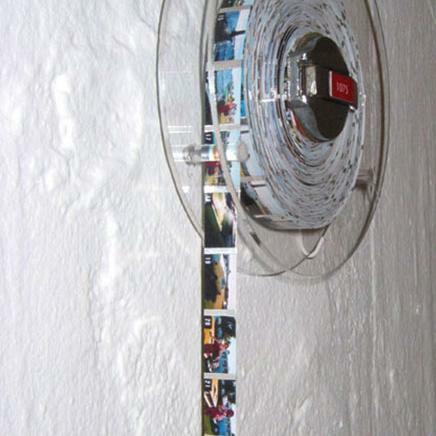 I took all the contact sheets from every photographic shoot of the project, which extended over a year and a half, and strung them together into a constructed tape measure. The same frames were animated in a video piece located in a separate room of the gallery and became the only way means you could see all the frames. 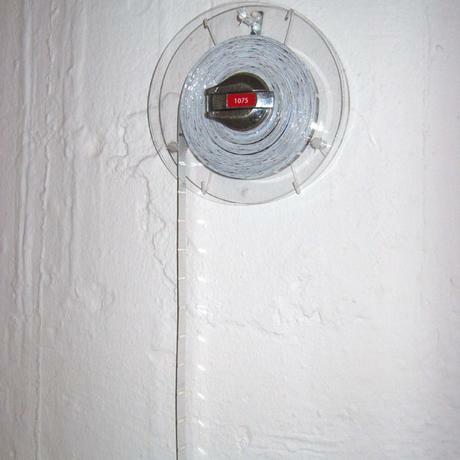 The tape measure/film strip becomes a visual testament to the physical volume of data produced and the incongruous idea of measuring the self; the animation offered a visual sense of the whole experience of this collaborative project, yet the project remained intangible in the video medium’s and flickering speed.